We’d heard the stories from Dad about being Lieutenant-General Bernard Freyberg’s driver and how he met Peter Fraser, but we’d never seen a picture. So how did this long-lost moment in family history come to be rediscovered? 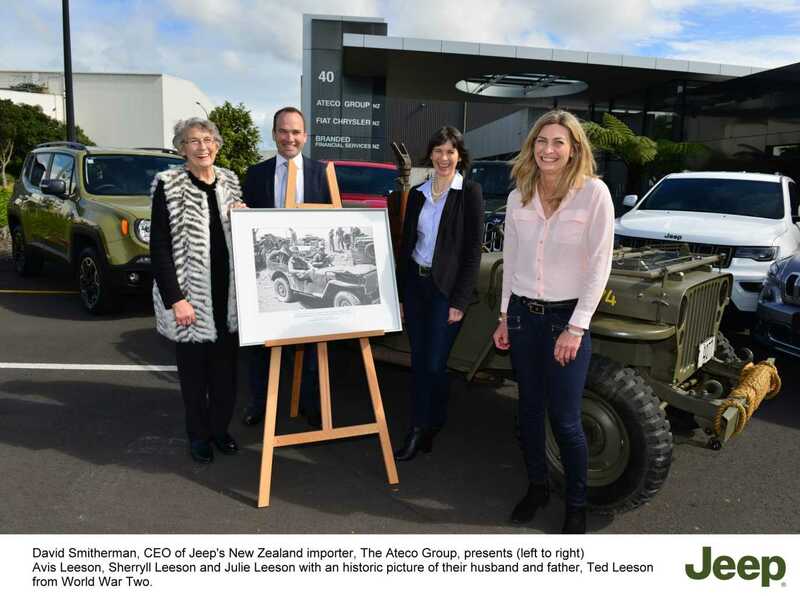 The last thing that Sherryll Leeson expected to see when she opened the motoring supplement of the NZ Herald was a picture of her father, but, set amongst a story on Jeep’s 75th Anniversary, was a picture of then New Zealand Prime Minister Peter Fraser and Lieutenant-General Bernard Freyberg. Pictured at one of the pivotal moments in World War Two, sitting in Willys Jeep, with her father, Driver Ted Leeson, at the wheel. 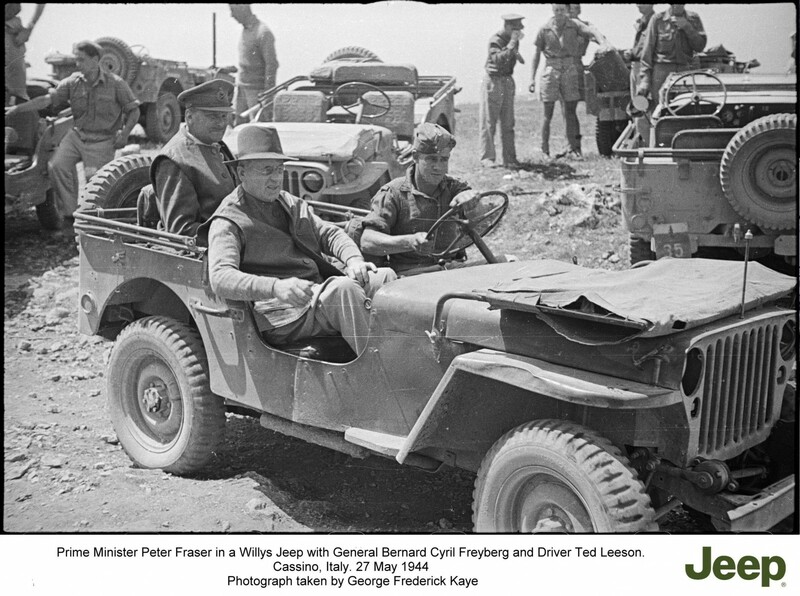 “Amongst the many pictures preserved from World War Two was this remarkable picture of Prime Minister Peter Fraser and Lieutenant-General Bernard Freyberg in a Jeep at one of the most significant moments of the war. 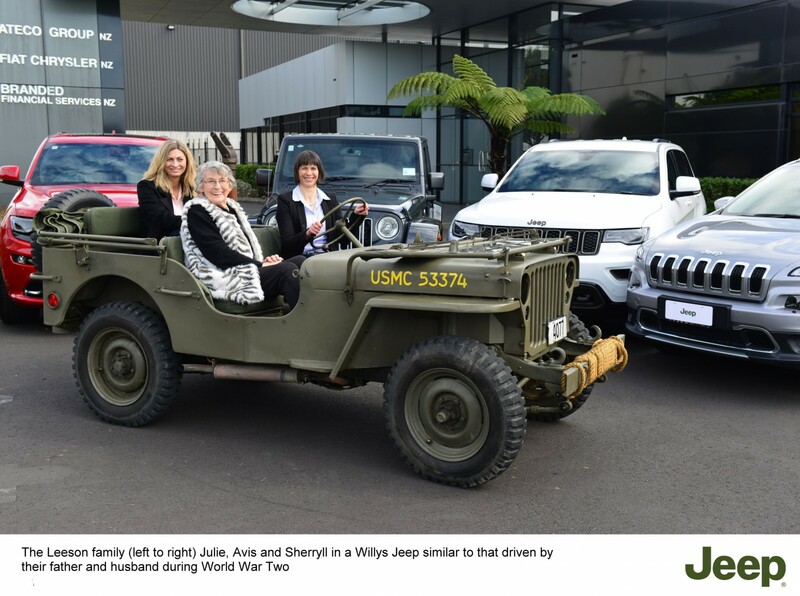 There could be no better link between Jeep and New Zealand from that period,” says Mr Smitherman. Searching through the online records of both organisations David Smitherman’s team discovered that the New Zealand defence forces had been one of the first armies outside the US forces to be equipped with the Jeep – so early, in fact, that the official caption on that very first picture of what would become known as a Jeep describes it as an “American Desert Buggy”. The New Zealand armed forces carved for themselves a remarkable reputation as war raged first in North African and then in Italy for being able to deliver vital supplies and rescue wounded troops anywhere and under worst possible conditions. This reputation was both tested and forged at the infamous battle at Monte Cassino, where from their mountain top stronghold the Germans stalled the Allied advance through Italy for months. During the battle the Kiwi drivers delivered essential supplies and rescued the wounded under fire from the Germans, driving right through the ‘killing zone’ in so-called ‘ghost convoys’ of Jeeps. During these battles in Africa and Italy, Sherryll’s father had been recruited by the leader of New Zealand’s armed forces, Lieutenant-General Bernard Freyberg, as his driver. This is how just days after the battle of Cassino was finally won, he found himself at the wheel of his trusty Jeep as he drove New Zealand Prime Minister Peter Fraser on his tour of the battlefield to thank the New Zealand Troops. That moment was captured by photographer George Frederick Kaye and preserved for posterity by the National Library of New Zealand, as well as for the Leeson family, along with film of visit by Prime Minister Fraser at Cassino by the National Archive of New Zealand.